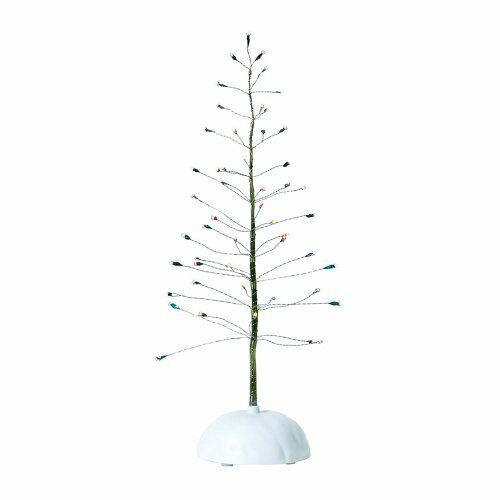 This 11 inch LED lighted tree on a snow-mounded base comes with its own adapter and will add sparkle and magic to any Christmas scene. Designed and manufactured exclusively by Department 56. Use Department 56 Cross Product accessories to enhance your Village display. This lighted tree includes an adapter and multi-colored twinkle lights. This tree is 11" tall and coordinates with 56.52301 Village Twinkle Brite Tree, Large (sold separately). Can be used with any Village.